Apple is using Square to help bring Apple Pay to the small, local businesses you shop at everyday. You can now start using Apple Pay at independent shops across the country, if they are set up with Square’s newest device. On Monday, Square began rolling out its new contactless reader to 100 local businesses in 20 U.S. cities, including San Francisco, New York, Chicago, Atlanta, and Boston. 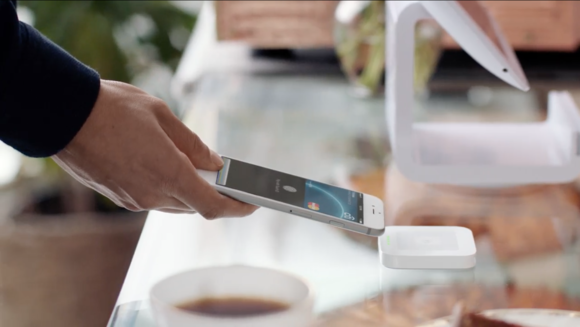 The new reader is able to accept Apple Pay and other NFC-based transactions, as well as process chip card payments. Business can order their reader now on Square’s website for $49. First announced in June, Square’s contactless and chip reader connects wirelessly to the Square Stand mobile register or any iOS or Android device running the Square point-of-sale app. After the cashier finishes processing inputing the transaction, a green light flashes on the reader to indicate it’s ready to accept your contactless payment. You can use your Apple Pay-enabled iPhone or Apple Watch to pay by tapping your device on the reader. Why this matters: About 700,000 businesses currently accept Apple Pay, but it’s the big-box stores and national chains that have had the resources to upgrade their register to accept contactless payments. By partnering with Square, Apple is bringing Apple Pay into independent shops that might otherwise not have the resources to upgrade.